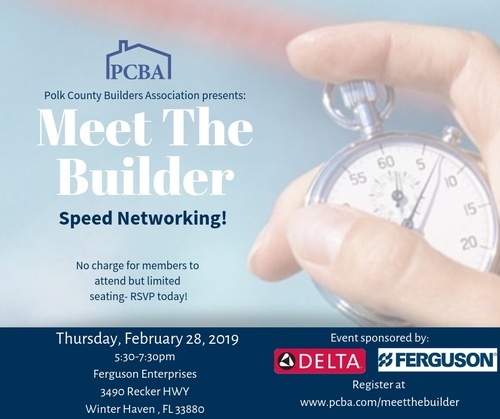 Come to PCBA's annual Meet the Builder! A fun "speed dating" style event in which associate members hop from table to table to meet various builder members. Thank you to our sponsor, Ferguson's, who provides the food, drinks and venue. It's a "must do" networking event! contact Jenna at jennah@pcba.com or 863-665-0844 if you have trouble registering.